A trial balance lists the credit or debit balance of each account in a company’s general ledger. It’s helpful in finding possible mistakes in the accounting process. 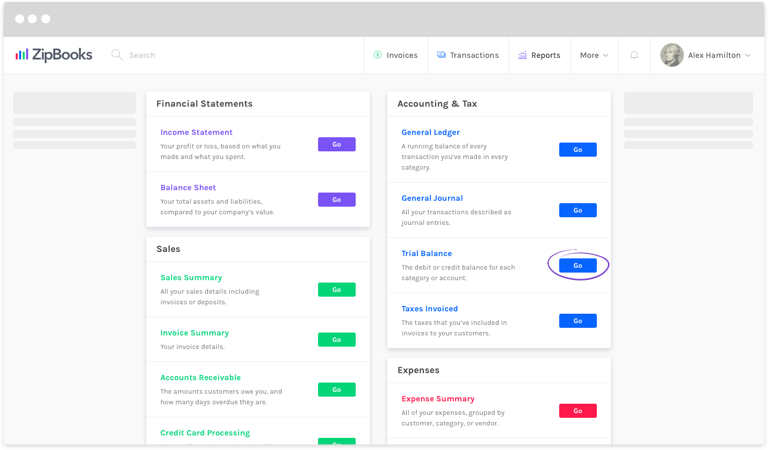 ZipBooks makes it easy for you to prepare a trial balance. 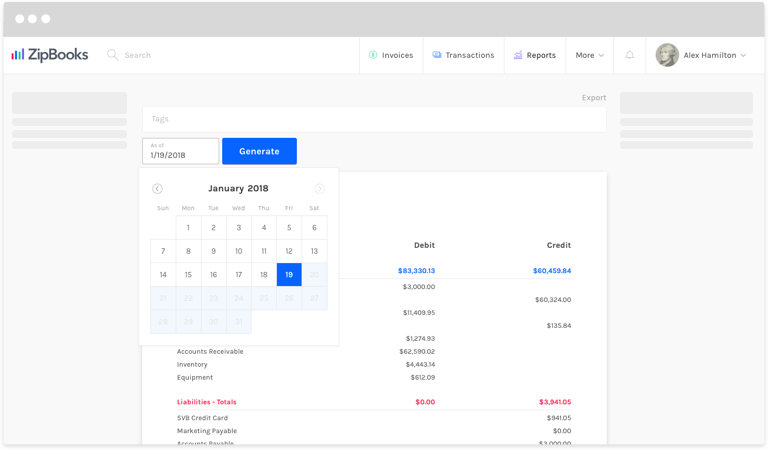 In the Accounting and Tax section in the menu on the left, click on the Go button next to Trial Balance. Choose as of what Date you’d like the balance to reflect. Add specific Tags if you want to filter any further. All done! The Debit column on your report should be equal to the Credit column.